The last month of the year is filled with shopping for gifts and attending holiday parties, but it’s important to squeeze a visit to your dentist into your busy schedule. You’ve heard the term “use it or lose it,” and if you’re not careful, that’s exactly what will happen to your hard-earned dental benefits when the clock strikes midnight on New Year’s Eve. Once the ball drops and the new year begins, your benefits will reset whether you want them to or not. Wasted Money: Most dental insurance plans operate based on the calendar year, and that means any unused benefits will disappear at midnight on December 31st. Most plans also provide yearly coverage up to a certain dollar amount. That means you can receive free family dentistry care. Of course, your insurance provider doesn’t advertise this fact, because they make thousands of dollars off people who don’t use their benefits. By using your benefits before they run out, you’ll save money. A Renewed Deductible: Your deductible is the amount of money you’re required to pay before your insurance kicks in. If you have a $50 deductible, for example, you’ll likely pay that off during your first dental visit of the year. Any qualified treatment you receive after you make that payment, like dental implants or cleanings, will be covered by your insurance. But once the year starts over, the deductible comes back into play. Protect Your Teeth: Cookies, candies, and cakes, oh my! All of those sugary treats threaten the health of your teeth, and seeing your dentist as soon as possible will help keep you on track when it comes to oral health. 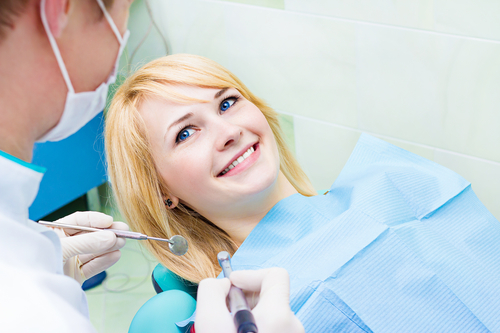 It won’t take long for a small cavity to turn into a painful problem. Having it dealt with sooner rather than later will benefit both your health and your insurance benefit status. If you’re not sure what kind of benefits you’ll be missing out on at the end of the year, contact your insurance provider. When you’re ready to take advantage of that coverage, Adams Dental Center in Lincoln, NE, offers the care you need. Schedule an appointment with one of their experienced dentists by calling (402) 484-6666, or visit their website for more information.